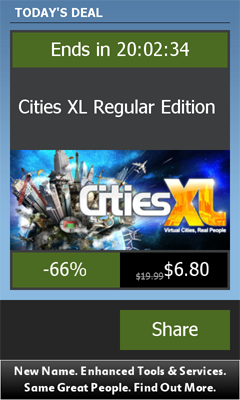 Now you can easily check the active Daily Deal of Steam from your Windows Phone 7 smartphone! This app features a simplified interface that shows all info related to the Steam deal. Queries Steam’s website and shows only the relevant info from the Daily Deal. See the current game’s name, logo, original price, discounted price and total discount. Share the deal via e-mail. 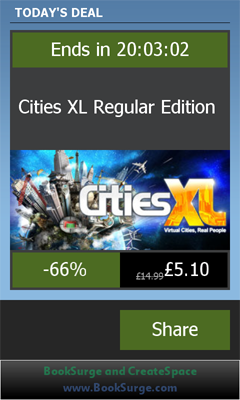 The price is automatically shown in your region’s currency (dollars, pounds or euros).